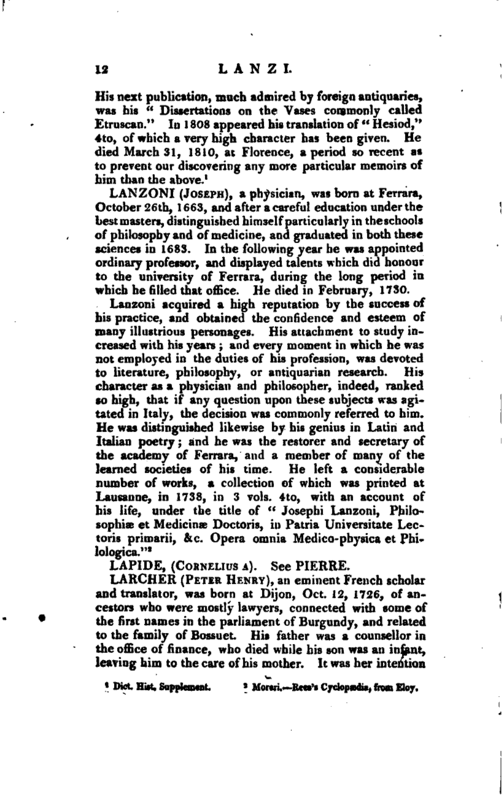 , a physician, was born at Ferrara, October 26th, 1663, and after a careful education under the bestmasters, distinguished himself particularly in the schools of philosophy and of medicine, and graduated in both these sciences in 1683. In the following year he was appointed ordinary professor, and displayed talents which did honour to the university of Ferrara, during the long period in which he filled that office. He died in February, 1730.